I love the Victoria and Albert Museum in London. I could spend hours looking at the minutiae of life and daydream about the lives people lived in the past. The last time I was there I was lace crazy and took tons of pictures of the drawers of lace they have there. Go to collections.vam.ac.uk http://m.vam.ac.uk/collections/?q= and get started asap. I browse, sketch and then riff on the designs that can inspire me, kick start my creative process or even check out for technique ideas. I counted 134 pages of inspiration there, on my last visit. 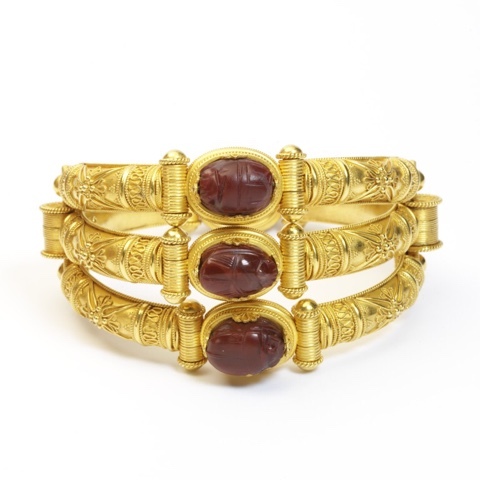 Jewellery moulds, dies, contemporary brooches, art nouveau pendants, bangles from Medieval times and the 1800s, belts, lockets (many Victorian ones containing loved ones' hair), and studs and buckles from courtiers' clothing. All fascinating to look at and see, all beautiful. An amazing site to bookmark is openculture.com. It bills itself as "The best free cultural & educational media on the web." Here you will find links to art catalogues from the Metropolitan Museum of Art, the Guggenheim, the Getty Museum. They also link to free courses and movies. The British Museum shares images of its collections, including the objects found at the Sutton-Hoo ship burial, objects from Pompeii and textiles for pattern inspiration. Go to britishmuseum.org then research to start your search. 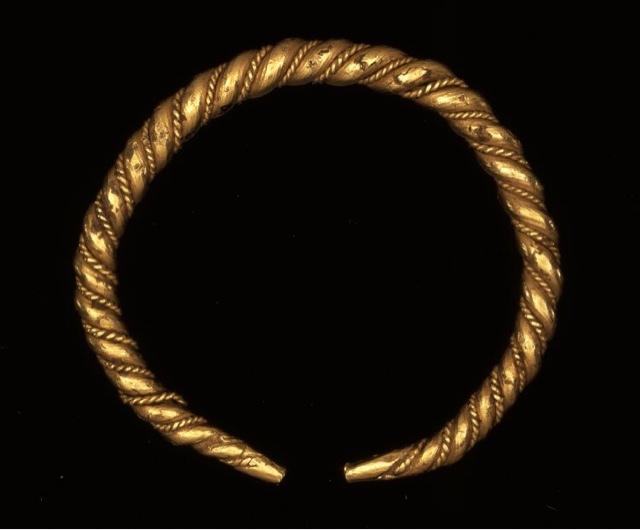 This Viking arm ring from the Sutton-Hoo horde has my mind circling ideas for my twisted bronze bracelets. 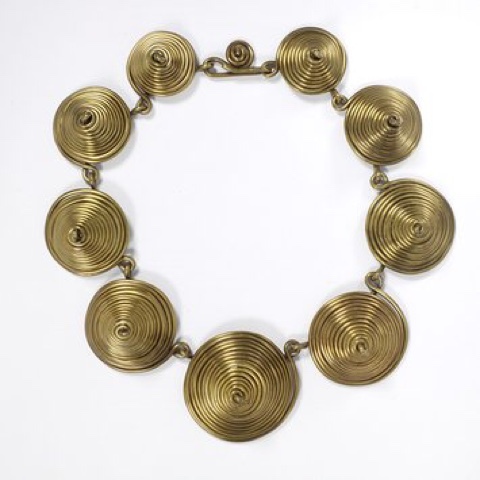 The Museum of London's web site has 127 images of jewellery and buttons found as part of the Cheapside Horde. So many stunning baubles to inspire you or just make you drool while marvelling over the craftsmanship required to create them. I'm inspired by the shapes and composition of the pendants in particular.